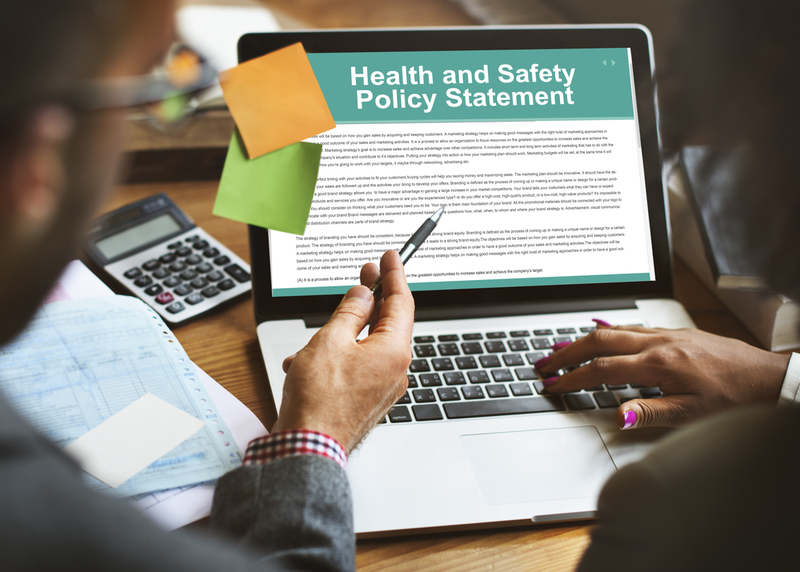 The revised version of the ANSI/ASSP Z10-2012 standard on Occupational Health and Safety Management Systems (OHSMSs), is expected to be published in early 2019. This is great news! The current (2012) standard, which is a voluntary consensus standard, provides an outline that organizations can follow, to have a “system” for improving occupational safety and health outcomes. It is solid and well-respected. However, the revision that will be published in 2019 will have significant updates, to include new formatting, compliance guidance, and new categories of information. It will be an outstanding resource for companies of all sizes, but also include tips for smaller ones. If you are in some way responsible for “safety and health” in your organization – stay tuned! Why Is the Standard Being Revised? The current version of the Z10 standard was published in 2012. It was due for action per the procedures of the organization that coordinates US voluntary consensus standards, the American National Standards Institute (ANSI). The Z10 Committee, for which the American Society of Safety Professionals is secretariat, reaffirmed the standard in February of 2017 and began revision in October of 2017. While the current version is solid, the revision looks to be fantastic. What Exactly “IS” an OHSMS? Organizations wind up managing safety either intentionally or unintentionally. Systems can be conscious and purposeful, or unacknowledged and unmanaged. What an organization has or does not have in place, influences how it performs. Compliance to a formal OHSMS based on recognized standards, will require that an organization have a system that addresses specific things that influence performance, while leaving it to the organization to define how those things will be addressed. Of course, while there is flexibility in implementation, it is expected that end-results be effective. Safety management systems of this type include ANSI/ASSP Z10, ISO 45001, and OHSAS 18001 (which is being phased out due to ISO 45001). Many companies, especially larger ones, have their own versions of health and safety management systems, sometimes combined with environmental management systems. The revised Z10 standard will describe “things” that need to be in place to have an OHSMS that meets the Z10 requirements. The standard as published is not a regulatory requirement, although having it in place requires commitment to compliance. Many believe that safety performance can be improved through the effective implementation of an OHSMS. Safety management systems requirements have been woven into the regulations of several countries. There are studies that indicate a positive correlation, and that safety performance can be improved when certain things are incorporated into business processes. On the other hand, it can be difficult to weigh the financial costs associated with program implementation, to measure things that “didn’t” happen, and to assess the value of positive outcomes. Models for calculating return on investment (ROI) are available but can be difficult when applied to a comprehensive system. Additional quantitative academic studies are underway to better define the relationships between OHSMSs and “safety” performance. But, we don’t have to over-complicate this. I tend to think of the value of having an OHSMS, partly in terms of, “if you fail to plan, you plan to fail.” Understanding the variables that can impact safety, how they can interact, and integrating controls for those variables within normal business processes, all within an organization that provides for safety leadership and goals alignment, is the way to go. We may not always know which elements are most important (except that certain things like safety leadership are critical), but we know that we are talking about variables in a system. Which elements to work hardest at first, is a topic for another day. It would seem to be intuitive that understanding your safety risk and then managing that risk (one of the concepts in newer risk-based managements systems) is the right thing to do. Don’t businesses already do this for “other” categories of business risk? Organizations that adopt the Z10 standard will have safety and health requirements in place that can be understood and integrated within the rest of the organization. Expectations can be set and understood. It can help provide for some common understanding, enhance communication and align decision-making processes. An OHSMS can result in positive financial results, both direct and indirect, due to how safety performance is linked to other operational metrics. Due to the recent (and first) publication of ISO 45001, some might want to compare the ISO 45001 and ANSI/ASSP Z10 standards. Both standards are written to achieve the same result, but their development was from different frameworks. The ANSI/ASSP Z10 standard is an American voluntary consensus standard. The Z10 could help “anyone,” but is not designed to conform to the requirements of other countries or international standards setting bodies. Because of this, it can be written in a style most useful and understandable to its primary audience. For example, word and phrase selection can be made without significant attention to how those same words could mean something significantly different after translation into another language. On the other hand, the ISO 45001 standard, even though it contains concepts similar to (and was influenced by) the Z10, was written for international consensus and in consideration of how some countries intended to use the standard (as a legal document). The ISO 45001 standard is the first occupational health and safety management system standard developed through an international standards body (although OHSAS 18001 has been used by many). It has been adopted as an American National Standard. It might be most easily implemented by larger organizations. International supply chains may require certification to it, as some already require compliance to (more regional) safety management schemes. One can find additional information regarding ISO 45001 through the ISO and ASSP websites. Many people should find the additional information helpful. FYI, there was a new standard published this July that may impact how you think about safety management systems. The standard, GRI 403: Occupational Health and Safety 2018, published by the Global Sustainability Standards Board, includes requirements for the disclosure of OHSMS information. Organizations for which occupational health and safety are considered a material topic, that intend to claim that its reports are submitted consistent with GRI Sustainability Reporting Standards, will need to report on its management approach for occupational health and safety. The Z10 standard is scheduled to be published by Spring of 2019. It will include several new topics and useful tools. Organizations needing a roadmap to occupational health and safety improvement, wanting to know what some of the best managed companies are doing, wanting to manage programs consistent with a national standard, or just seeking great information, should take a look when available. Sign up here to receive periodic newsletters containing helpful information and updates.